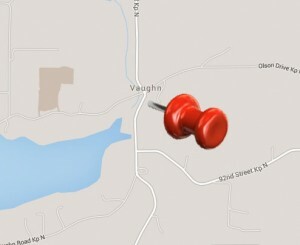 Our museum is located at the Key Peninsula Civic Center in Vaughn (17010 South Vaughn Rd. KPN, Vaughn, WA. 98394), about a mile from Key Center. Not the Lewis & Clark type? Embrace technology: Find us on the map and get directions. The museum is open twice a week, and also by appointment. Regular hours are 1:00 p.m. – 4:00 p.m. on Tuesday and Saturday afternoons. 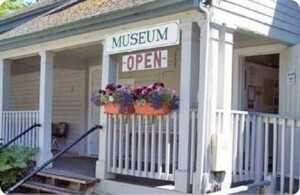 Admission to the museum is FREE (donations are appreciated). Special events for children and schools are also available. Please contact us to coordinate group events. Executive board and community representatives are elected annually. Receive the Museum Messenger newsletter and special updates. Assist with historical research, develop and prepare displays while promoting historic preservation. Development and presentation of educational programs. Meet your neighbors and make new friends. Enjoy events to raise funds for the museum while learning about our history. Shop in our store for books by local authors and toys from days gone by. Exercise voting rights and eligibility to hold office. To volunteer email us, or call the museum (253-888-3246), KPHS President Judy Mills (253-884-2511), or KPHS Director of Publicity Colleen Slater (253-884-5403). DONATE: Time, artifacts pertinent to the Key Peninsula, memorials, bequests, tax-deductible cash gifts.